Point2 Homes gives you far more than a simple list of houses for sale. Get instant access to a lot of relevant information about Petawawa, ON real estate, including property descriptions, virtual tours, maps and photos. The search results pages also have a wealth of information on Petawawa, ON, if you scroll all the way down. 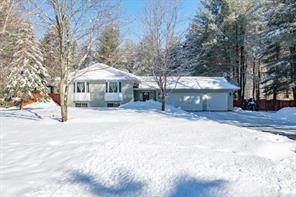 There are 193 houses for sale in Petawawa, ON. 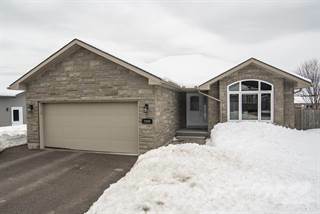 Searching homes for sale in Petawawa, ON has never been more convenient. With Point2 Homes, you can easily browse through Petawawa, ON single family homes for sale, townhomes, condos and commercial properties, and quickly get a general perspective of the real estate prices. Also, you’ll never miss a bargain if you filter listings based on house price drops in the past six months. Use the map view to find Petawawa, ON homes and apartments for sale, based on amenities or city features that you may want close by. You can close in on a specific neighbourhood or area by simply drawing around them with the polygon or radius tools. Stay informed about the latest entries on the real estate market by saving your searches. This way, you get new listings in your inbox, daily or every week, based on your preferences. If you’d like to get in touch with a professional, agents are displayed next to their listings, and they’re easy to contact through the online forms. If you want more options, you can click the Tools tab and Find an Agent, and you’ll get a list of helpful and knowledgeable real estate agents in Petawawa, ON. Visit the Point2 Homes blog and you can find up to date expert advice on many markets throughout Canada, regular market reports, neighbourhood scoops in cities throughout the provinces, real estate deals and useful recommendations. Petawawa is home to over 15,000 people and is located in the southeastern portion of the province. The city covers 164.68 square kilometres near the communities of Pembroke, Forest Lea, Chalk River, and Deep River. Situated on the Ottawa River, the city shares a border with the province of Quebec and communities such as Sheenboro, Demers-Centre, and Chapeau. Highway 17 runs through the city, as does the Petawawa River. Petawawa gets its name from an Algonquin word, ‘biidaawewe’, meaning "where one hears a noise like this". Residential areas, the Petawawa Garrison, a military museum, an arena, a recreation complex, a golf course, campgrounds, and a few shops and service providers can all be found in the city’s northern section. In the central section of Petawawa, there are parks, residential areas, accommodations, restaurants, service providers, shops, government offices, churches, a community hall, schools, a health centre, a museum, a civic centre, and a post office. Petawawa’s southern section includes residential areas, restaurants, shops, service providers, churches, parks, and schools. The Petawawa Heritage Village provides visitors with information about the area’s First Nations peoples and early European settlers. The village includes a variety of traditional buildings such as a blacksmith’s shop, a pole barn, a stable, a schoolhouse, a trapper house, a woodworking shop, a railway station, a wigwam, and a couple of traditional homes. The buildings include a variety of artifacts, photos, and documents, and costumed guides provide demonstrations and share stories about what life was like in the past. The village offers a variety of school programs, as well as events that celebrate the area’s history. Petawawa Centennial Park is a popular spot for picnicking, walking, playing sports, swimming, and enjoying the great outdoors at any time of the year. The park has a sandy beach area, restroom facilities, sheltered picnic areas, greenspace, benches, a playground, treed areas, a bandstand, and walking paths. The Petawawa Civic Centre has an arena with spectator seating, dressing rooms, a lobby with concession services, and bookable meeting rooms. The centre is home to many hockey and skating clubs in the city. Petawawa’s key industries include government services, scientific and technical services, educational services, healthcare, and customer service. The city’s major employers include Canadian Forces Garrison Petawawa, Atomic Energy of Canada Ltd., Renfrew County District School Board, the County of Renfrew, Pembroke Regional Hospital, and HGS Outbound Call Centre. The Petawawa Industrial Park is home to the town’s Public Works garage, a mill, a self-storage facility, and a number of contractors’ offices. The County of Renfrew Economic Development Services office provides site location services, information and support, a business directory, referral and networking opportunities, and assistance with business expansion for local businesses. 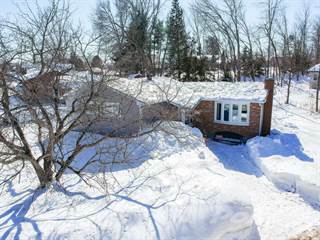 Real estate in the northern section of Petawawa is mostly a mix of newer and older single-family homes at low- to mid-range prices. Most of the homes are on large, rural-style lots. Some vacant lots can also be found in this section and vary in price depending on location and size. Single-family homes in the central section of the city tend to be older and come with affordable price tags. Lot sizes vary, but most are large. There is plenty of vacant land to choose from here, usually at reasonable prices. Newer-built homes can be found on the edges of the city, and there are some commercial spaces (mostly retail-based) in this section as well. Some of the city’s largest and most expensive homes can be found in the southern section, along with more affordable older homes. Row housing is common in some areas of this section, and there are vacant lots available at a variety of price points. Schools in Petawawa include Herman Street Elementary School, St. Francis of Assisi School, Valour School, Our Lady of Sorrows Catholic School, and Pine View Public School. Other schools can be found in nearby communities and include Mackenzie Community School, Saint Mary’s Separate School, St. Anthony’s Catholic School, Rockwood Public School, and Fellowes High School. Residents must travel to nearby Pembroke to access Algonquin College, which offers programs in nursing, social work, business, trades, education, law, and tourism/hospitality.